Hydroponics for Kids: Food, Farming, and Fun! Looking for something different, and exciting to do with your kids? Want to engender them with a lifelong interest in plants, gardening, sustainability, social responsibility and the future of farming? 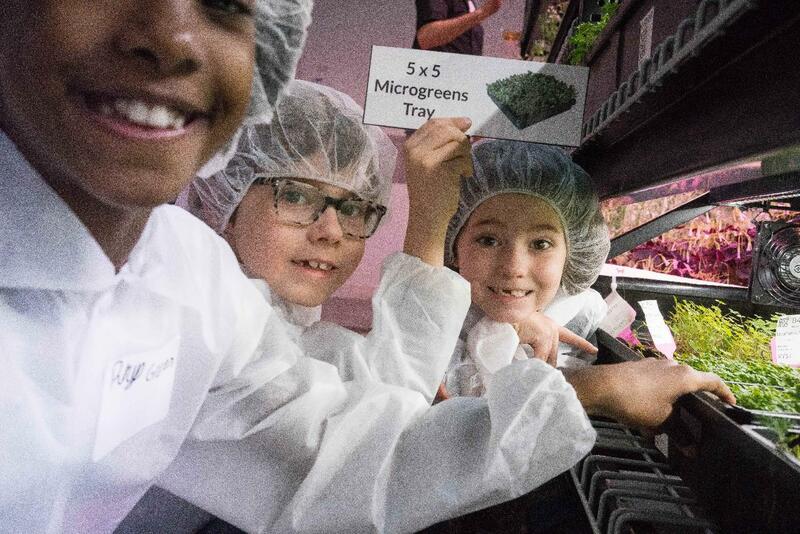 We’ll teach you, and your microteen, how to grow microgreens and so much more! This introduction to the world of indoor farming will open your child’s eyes to the high tech possibilities of hydroponics and growing indoors using new technology. 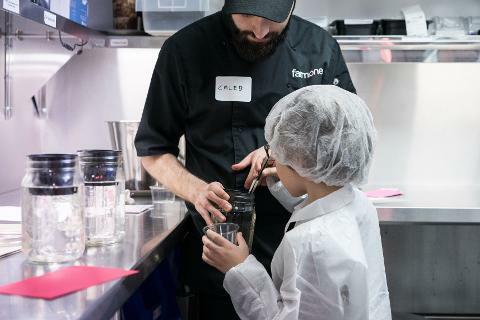 Our chief Plant Scientist will cover the basics of plant biology and hydroponic farming through a number of entertaining, hands-on activities guaranteed to stimulate your child's creativity and have them considering plants, food, and farming from an entirely new perspective. Guests of all experience levels and backgrounds are welcome. Suitable for children 5-10 years old. This session is for children only. Parents are welcome to observe the class externally, but are not required to be present. Farm.One is a unique, custom-designed, climate-controlled indoor farm with many different kinds of hydroponic and lighting systems. 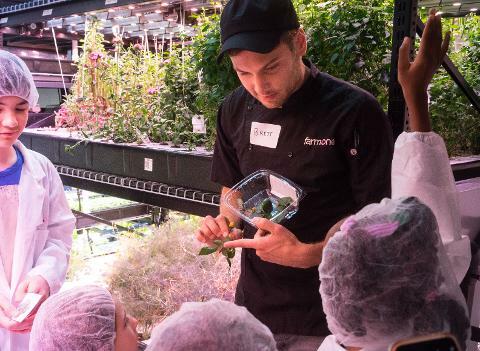 Over 200 different crop varieties are grown at any one time, including rare and unusual herbs such as Amaranth, Nasturtium, and a wide range of edible flowers and garnishes used by New York's best chefs.